3. 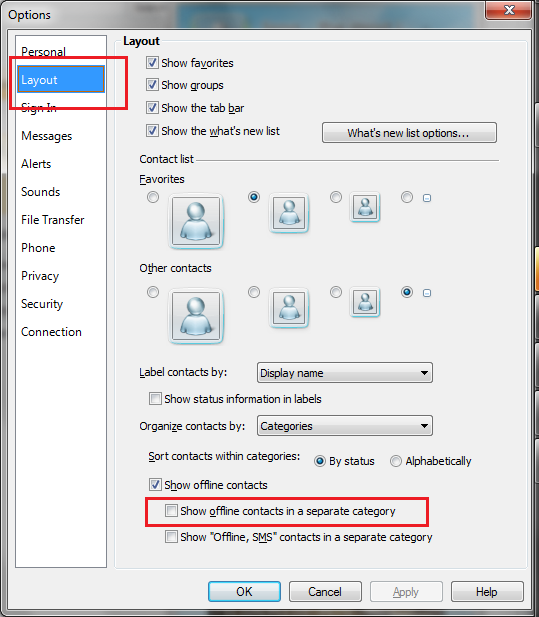 To see your offline contacts in a separate category, check "Show offline contacts in a separate catagory" box at the bottom, click Apply and OK.
4. 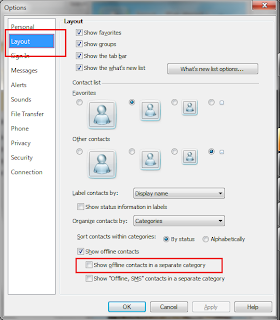 To hide your offline contacts completely, uncheck "Show Offline Contact" box, click Apply and OK.